Like most big cities, Santiago offers a wide spectrum of options from high-end restaurants to late-night fast food joints. 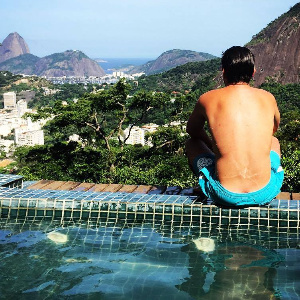 For gay travelers the cluster of restaurants, bars, and clubs in Bellavista are extremely popular. The “restaurant row” of the neighborhood is Pio Nono street which is easily walkable from the string of gay bars on Bombero Núñez. Winner of the TripAdvisor’s 2015 Travelers’ Choice Award, Bocanariz is the place to try Chilean wines. The accompanying food menu is equally phenomenal. Bocanariz is located in the Lastarria district, home to the Museo de Bellas Artes, and adjacent to the gay neighborhood Bellavista. Excellent cuisine from Spain in a stylish setting. Cazaluz is located in Santiago’s Italian district within a 25 minute walk, or a short cab ride to Bellavista. Great Italian food with a trendy crowd. Ciudadano attracts mostly hip young heteros, but gay guys often stop by for beer and pizza. Very authentic Chilean food. Family-style dining where you can try the classics of Chilean cuisine. No hipsters, just great food. Very gay-friendly restaurant celebrating the flavors of Spain. The waiters keep things lively. Fans of gigantic tasty sandwiches adore this neighborhood restaurant. 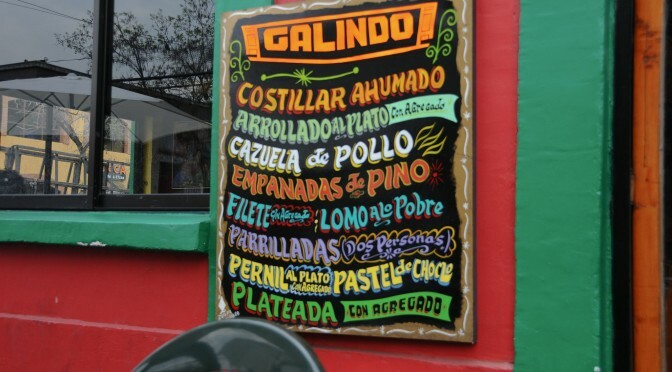 Traditional dining spot with Chilean dishes that even the young and trendy can’t resist. One of the best places to try chorrillana, Chile’s most iconic (and heavy) fast food. No, that’s not a typo for a French restaurant. The name really is Los Miserables and it’s popular Bellavista Mexican joint. Fans of San Francisco taquerias will feel right at home with tasty burritos and tacos. Located in the heart of the neighborhood, Patio Bellavista is home to over a twenty restaurants, food stands, and gift shops. Weekend brunch with friends is not as popular in Chile as it is in Europe and the US. However, Bellavista bistro White Rabbit may change that with their phenomenal brunch menu. See for yourself at the White Rabbit website.